Large industrial, professional, and high-traffic spaces require fast clean-up response times and a workforce capable of managing multiple aspects of facilities maintenance. Introducing the QuicKLEEN, an ergologistic, multipurpose, ride-on janitorial cart. 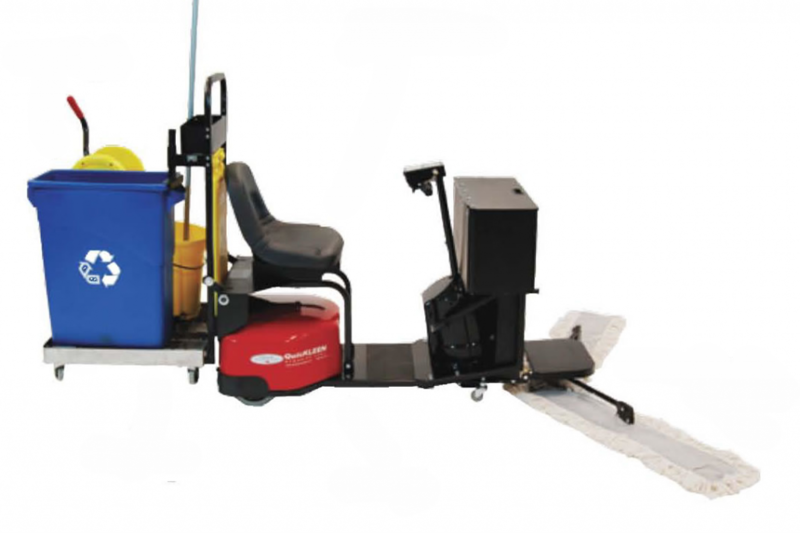 Our multi-modal cleaning platform allows the user dry mop, broom and vacuum large areas, collect trash, distribute cleaning supplies, and carry a mop and bucket. Innovative design features allow these tasks to be completed with unprecedented speed and efficiency. The QuicKLEEN is designed for use in airports and other transportation terminals, gymnasiums, warehouses, factories, schools, malls, and retail outlets. 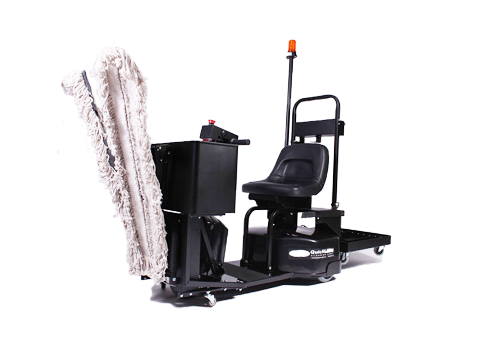 Capable of delivering 50% productivity returns in the commercial cleaning space, the QuicKLEEN enables your workforce to manage multiple tasks quickly and efficiently, while virtually eliminating strain-related injuries, and expanding your labor pool. Industry leading quality doesn’t stop with the design of our solutions – it extends to product rollout and post-sale support. Whether you own one store or thousands, when you partner with us, we are putting 20 years of experience in tens of thousands of locations to work for you. We work together with you to understand the unique requirements of every site and collaboratively design your rollout strategy. With every sale we provide training materials, certified operators program and best practices guidelines to ensure your team achieves your productivity and safety goals.